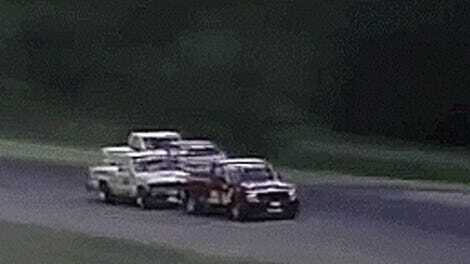 The world needs more trucks racing on a road course. Trucks are fun! They shouldn’t be forced to only race off-road if you want to go fast! That’s the madness and the genius of the Super Car Thailand’s truck series. 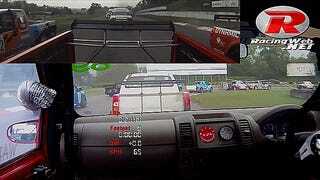 This footage was taken in 2012 onboard the Keng Racing Nissan Navara of Waris Onrayab. The truck races in the Super Pickup Thailand Championship Class B, and this was from Round 4 of its weekend at Bira Circuit. 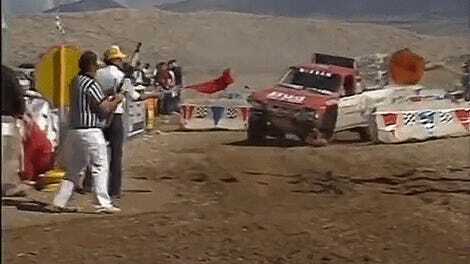 Sadly, this truck suffers a turbo failure at the end that leaves it crawling along the circuit, but you get the idea. Prior to that, the YouTube description said it was running an unbelievable 40 PSI! The little manual truck is powered by a chirping Nissan turbodiesel engine, too, which makes this one of the most Jalop series in existence. We love small trucks, and we really love weird little trucks with engines we’ll never get. A quick browse of the 2016 Super Pickup entries is a wealth of foreign-market unobtanium: Toyota Vigos! Isuzu D-Maxes! Mitsubishi Tritons! And of course, if you wonder what those are and need a rough guide for size, the Chevrolet Colorado that we do get in America is on the list, too. The only thing I’d change is maybe (just maybe) have competitors roll a bit less coal. I never thought I’d see a smokier race series than the 24 Hours of LeMons, but I have been proven wrong. You’re supposed to leave competitors in your dust, not in your cloud of exhaust.